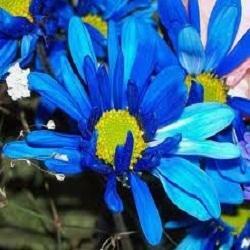 Being the leading names in industry we are involved in offering to our esteemed clients an exclusive range of Blue Daisy. We sourced this blue daisy from the trusted cultivators of the market who farm these flowers under the suitable climate conditions to render maximum client satisfaction. Offered products are widely used for the decoration purpose in various places and are available at reasonable prices.